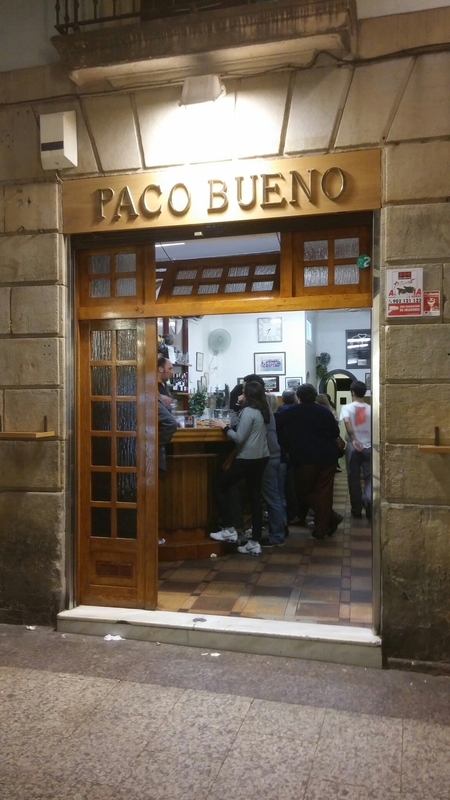 As readers of the blog will know I have an enduring love of Pais Vasco (the Basque Country) and, in particular, Donostia San Sebastian (foodie heaven on earth if there ever was one). we also love finding new places. 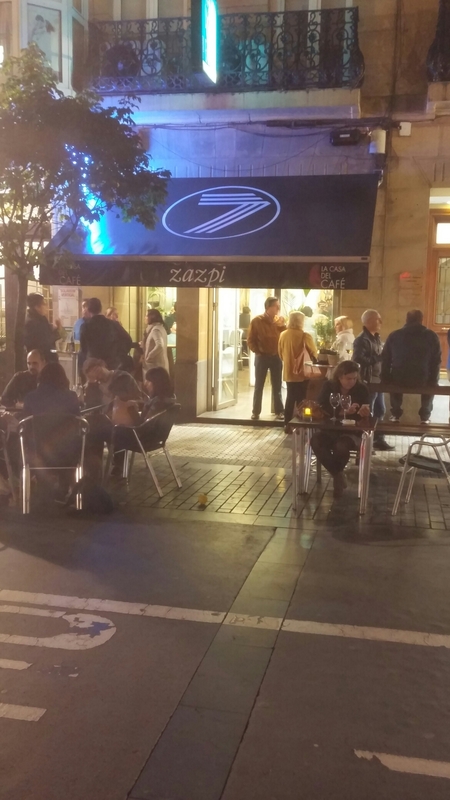 Bearing in mind the sheer volume of places to eat and drink in Donostia San Sebastian (100s of pintxos bars in the compact Old Town alone and then you have Centro, Gros, Amara and El Antigua) this is a simple and very pleasurable task. 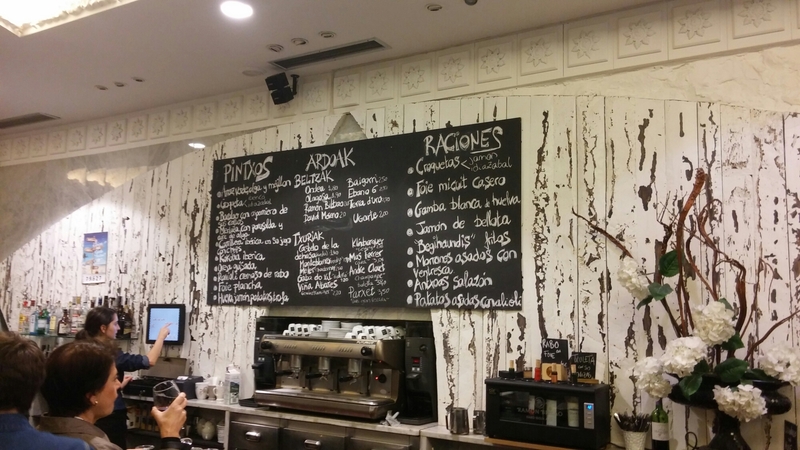 This place provides for the ultimate bar crawl, with great wine and beer to compliment the fabulous pintxos on offer. The mix of food and drink mitigates the effects of the booze and it is always good quality booze. 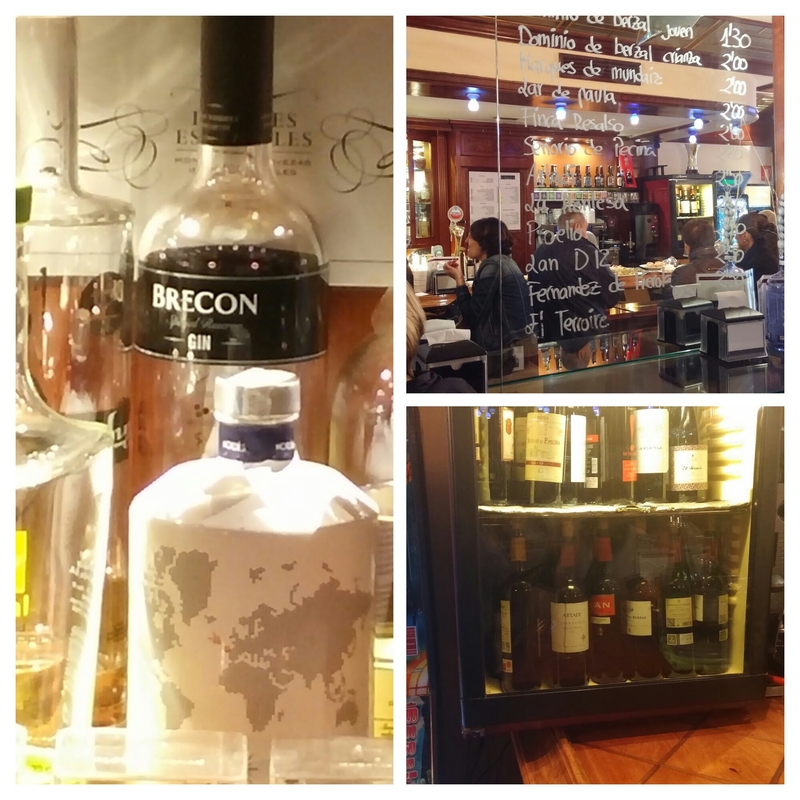 Properly good wines (at bargain prices – usually around €2- €2.50 mark for reds and €1.5 – €2 for whites) by the glass rather than the dross often on offer by the glass in pubs and bars in the UK (although there are a few welcome exceptions here). The idea is to have one, max. two drinks and pintxos in a bar and then move on to the next one. Our record on this trip was 13 bars (glass of red + a pintxo in each) in one day and I felt surprisingly chipper at the end of the night and the next morning. If you are flagging at any point a zurrito (a small beer- around the 1/4 pint mark) or a mosto (unfermented grape juice) are good options. Even after 4 consecutive visits we have only just scratched the surface food wise in Donostia San Sebastian. Below, in no particular order, are 6 of my favourite new places (to us) this time around (on top of the old favourites we also frequented). and a very respectable selection of wines by the glass (I had an Ugarte– a wine from a winery in La Rioja Alavesa that I have visited- for €2). a Txuleta (steak) with “ash” (€4). Not 100% sure what the ash was. We asked but didn’t understand the response – something flavoured with pine. Whatever it was, it was very good with the top quality properly cooked (rare) beef. and a beautiful hearty pigs ear stew (€1.90). I know the last one sounds horrid, but it was actually really nice (no pic am afraid – took one but it came out really blurry) comfort food and a total bargain for the price (it was a hearty portion – enough with the bread provided with it for a normal week day lunch for me and only about £1.35 in UK money). 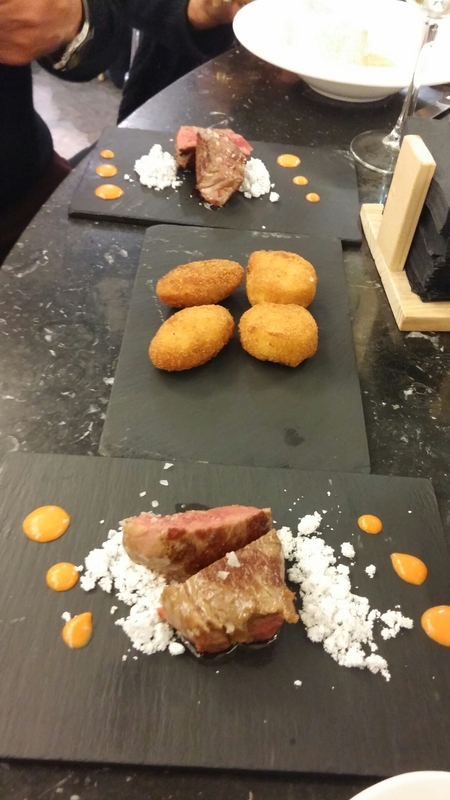 Not keen on the use of slate for the steak and croquetas (Ibizabal cheese and iberico jamon – €1.90 for 2) here, but the food is top notch and they have some good wines by the glass. A definite “must visit” this one and close to the always good Bar Antonio (and not far from the Old Town). 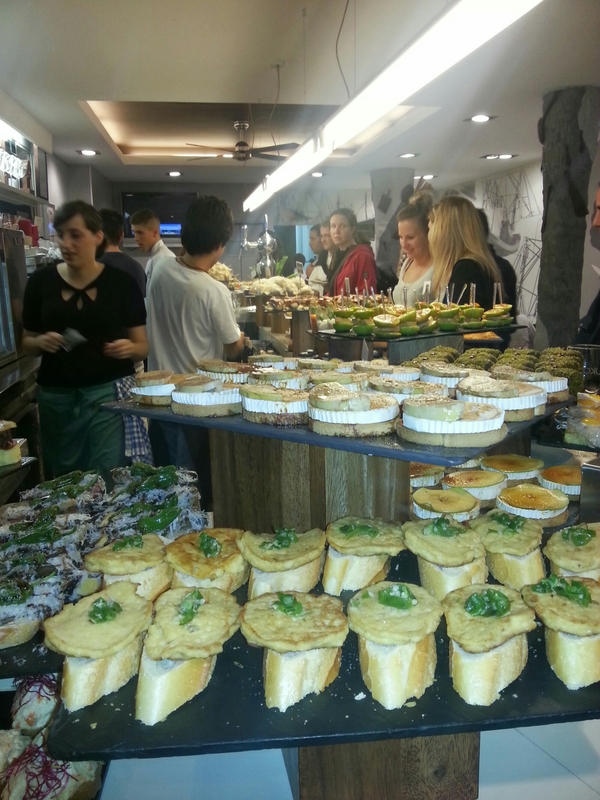 Good as part of/a start off point for a pintxos crawl down into the Old Town. They also have a restaurant at the back if you want something more substantial. 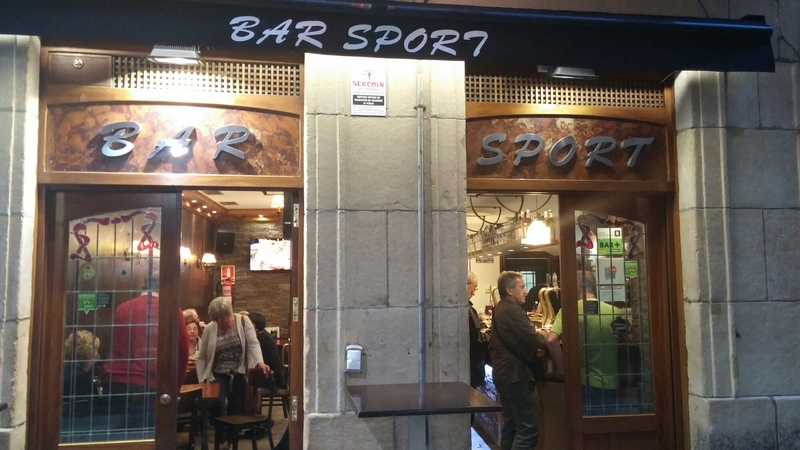 Another new bar for us, but an established favourite on the pintxo trail, this ever popular place is in the Centro area. Great food and some great wines from not just Rioja are on offer here. I had a lovely Mencia wine from Bierzo one visit and a equally good wine from Toro the next day (both a decent size glass for around €2). 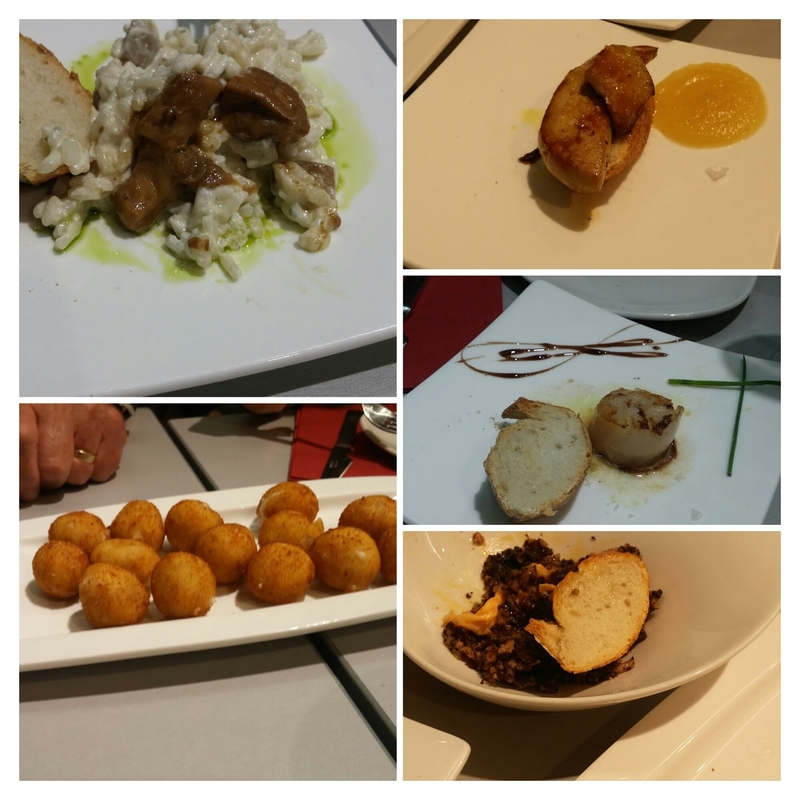 Food highlights (we had started to tuck into some of the pintxos by the time I took photos) included griddled scallops (€3.30 ), a lovely piece of foie on toast (€3.30), morcilla (black pudding) with a low temperature cooked egg yolk (broken before photo) on top (€3), a great Ibizabal (a smokey hard Basque cheese) and mushroom risotto (€3) and some cracking iberico jamon croquetas (€10.5 for a racione portion). Another one not to miss if you are staying in Centro and a nice change of pace from the hustle and bustle of the Old Town bars. as well as load of hot, made to order, stuff (we always go for the latter). Good selection of wines from Rioja and beyond adds nicely to the mix. 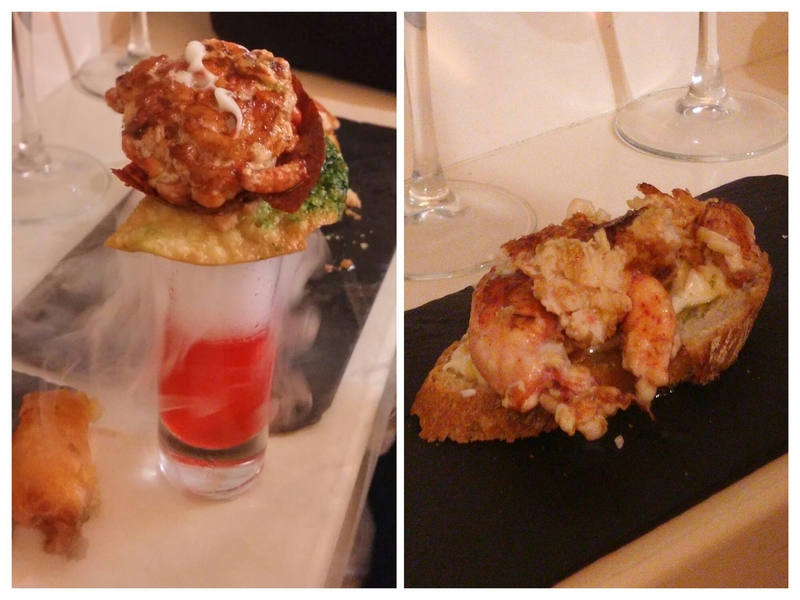 Food highlights were their famous and fabulous lobster rose (€5) and lobster on toast (€8). With the lobster rose, the liquid in the glass the lobster sits on is spiked with rose oil and dry ice and the barman, on you ordering it, tells you in no uncertain terms not to drink it. Clumsy oaf that I am, I knocked the glass over (after I had eaten the lobster of course – sorry to whoever’s coat it was). After this a very large glass of white wine was brought out to me by one of the kitchen crew. Despite my protestations that I had merely knocked it over, it seems they assumed I was mad enought to have drunk it!!!. Must remember that trick next time. 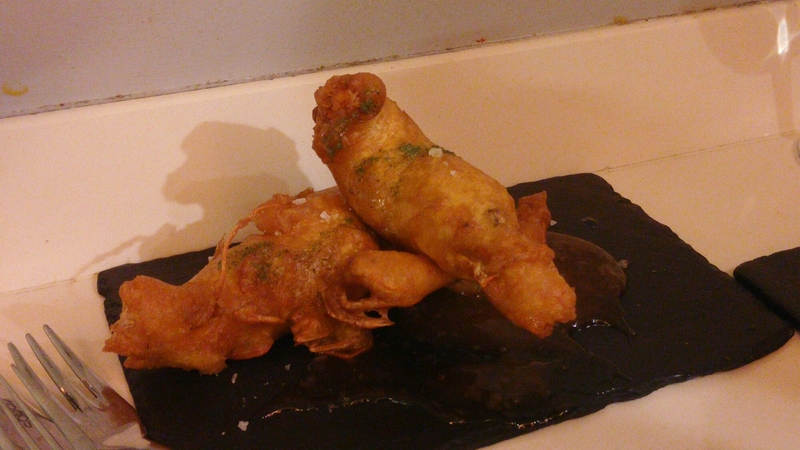 Only disappointments here were use of slate instead of plates and a langostine tempura (€4) marred by too thick a batter. 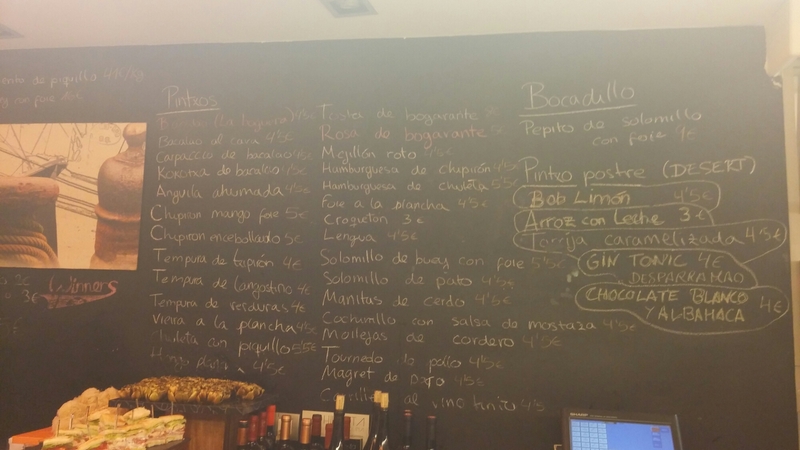 They also do some interesting desert pintxos here, such as their Bob Limon (they give you instructions how to eat it – there is a specific order you need to eat each component part in). We didn’t get to these this trip – next time though. 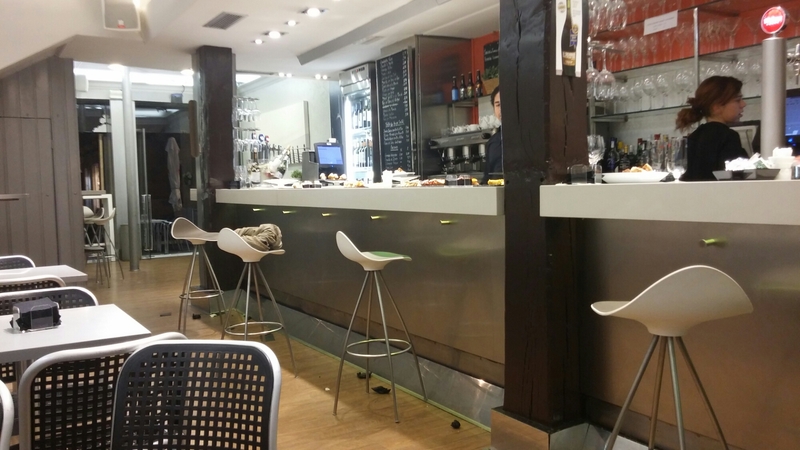 Atari tends to be our go to bar on the first night in Donostia San Sebastian. We are tired and hungry from the car, plane then bus journey from Cardiff to Donostia San Sebastian (via Stansted and Biarritz) and therefore need somewhere to refuel rather than a pintxos crawl on that first night. This places fits the bill admirably with good size raciones and decent wines (by the bottle as well as the glass – the former sorely needed by the time we get to this place). 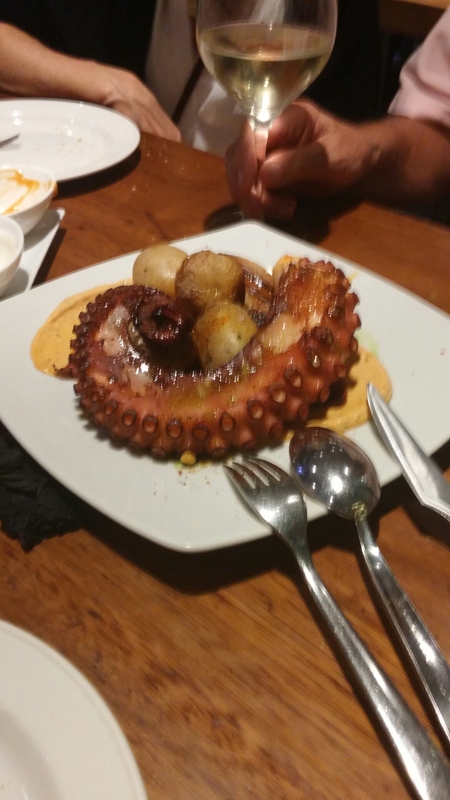 The highlight here was a beautifully tender pulpo (octopus) dish (€18.5). Big enough for the 6 of us to share, it was just lovely. 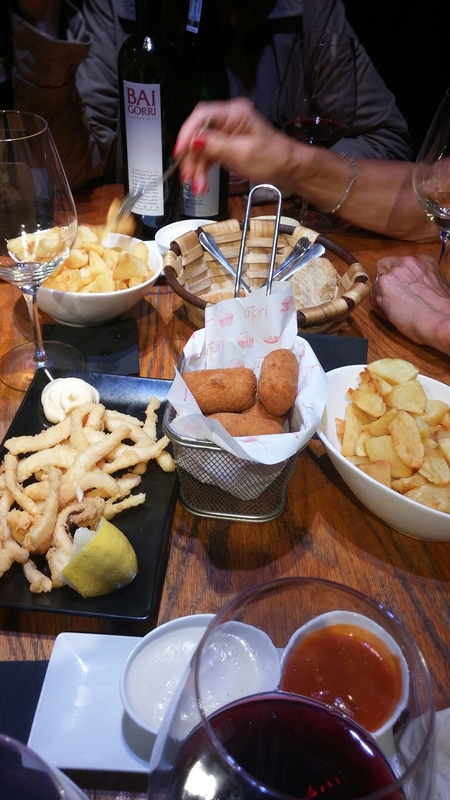 With this we had raciones of iberico jamon croquetas (€8), calamares (€10) and patatas bravas (€5), all washed down with a bottle or two of Txakoli (a bone dry Basque white) for €12 a bottle and of a Baigorri Crianza (from La Rioja Alavesa) at €18 a bottle.. 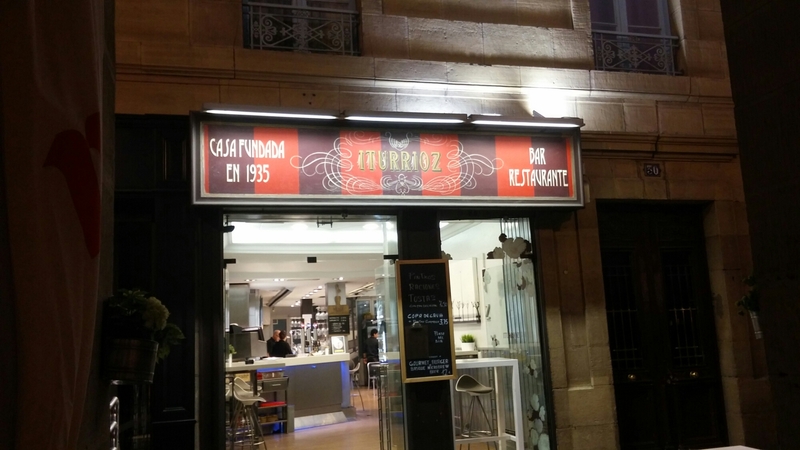 It is easy to find, as it is opposite the Iglesia de Santa Maria del Coro in the Old Town. A great little bar in the thick of it in the Old Town area. Good cold pintxos on the bar and some excellent hot options. 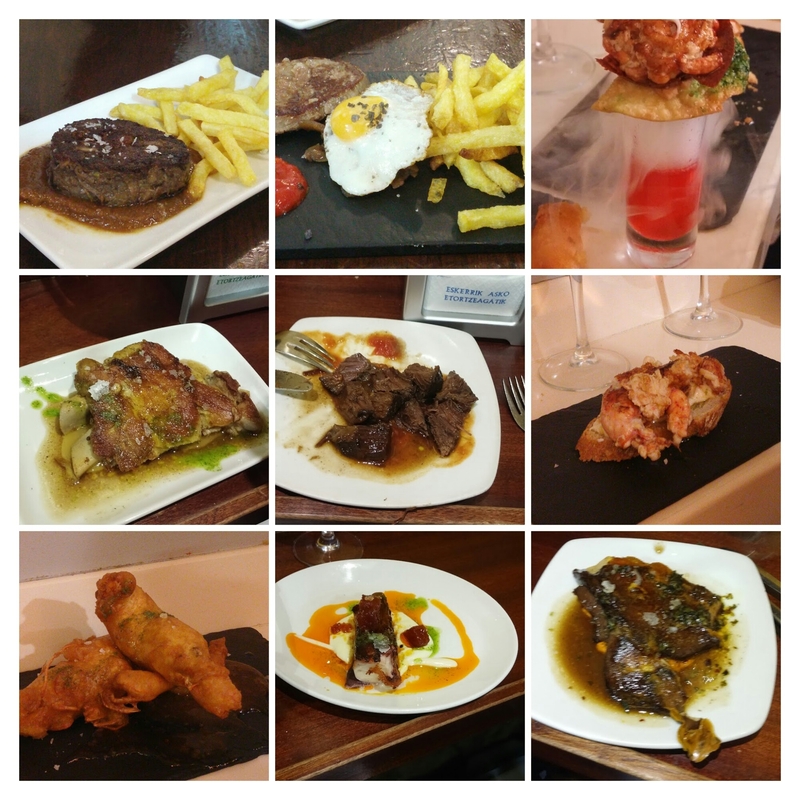 We gorged on nicely pink veal fillets with chips, (€3.10), hot crepes overflowing with a brown and white crab meat filling (€2.70) and killer pigs trotter fritters with a gorgeous mushroom sauce (€1.70). Good wines by the glass (€2 for a decent Rioja and €1.50 for a good white) and beers, plus Basque cider, make this a must stop on any pintxos crawl in the Old Town. What I would call an old school bar this one. 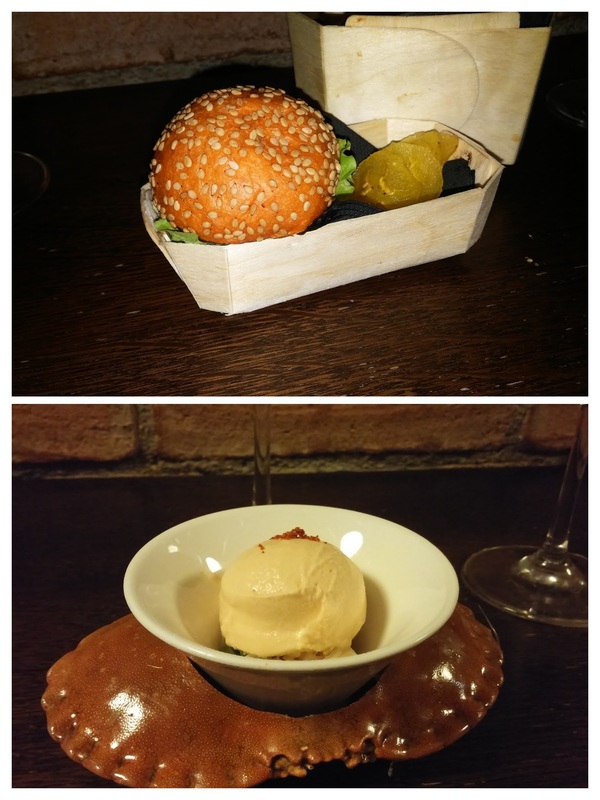 No fancy foams or savoury ice creams here. 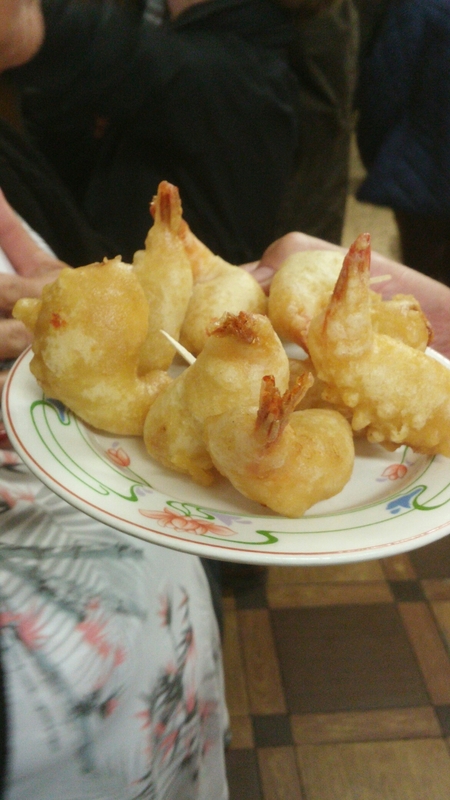 It is a spit and sawdust sort of place, where they do mainly one thing – crispy, juicy battered prawns, which they call scampi – and boy do they do it well. Classic end of the night, slightly inebriated, munchies food that really hits the spot. Amazingly cheap this place. Drinks (mix of wine, beer and a mineral water) and a prawn for each of the 6 of us came to just over €16 (about £11). Price wise, the exchange rate when we were out there (€1 = £0.71) helped immeasurably cost wise. 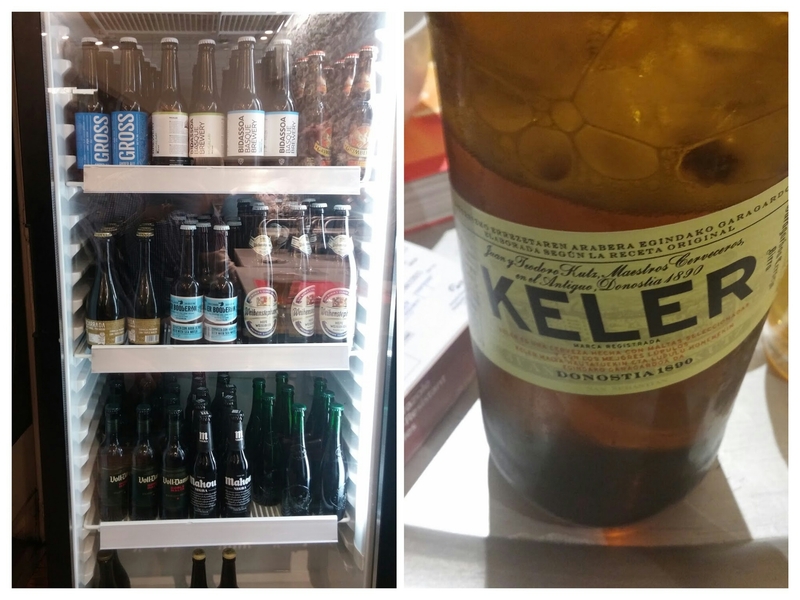 Six of us did epic bar crawls (up to 13 bars with food and drink a day) involving lunch and dinner and spent a max of €50 (around £35) per day per head. For the quality and quantity of the food and drink we had this represents an absolute bargain to my mind. I dread to think what something similar would cost in the UK, but I would say 3 times or more (probably a lot more with wine of the same quality based on by the glass prices in the UK). Of course you could drink and eat less (probably alot less) than a pig like me. If you did €25 – €30 per head for a night in the pinxtos bars is probably about right if you don’t get greedy (you will). Not bad for a night out of top food and wine! My advice is if you haven’t been yet go – it is an amazing place. I just absolutely love it. If you are staying up around by the Art 7 Apartments/Astoria 7 hotel (where we stay), I would recommend Bar Agustin for a pre – crawl glass of wine (very good selection, including a very pleasant Artadi Tempranillo for €2.50 ) or an end of the evening G&T (enormous in size and very strong, from a great selection of gins). N.B. Some bars close on Sundays (others on Mondays). So, if like us, you arrive on a Sunday, best to check on the relevant bar’s website. Never fear you will still be spoilt for choice. 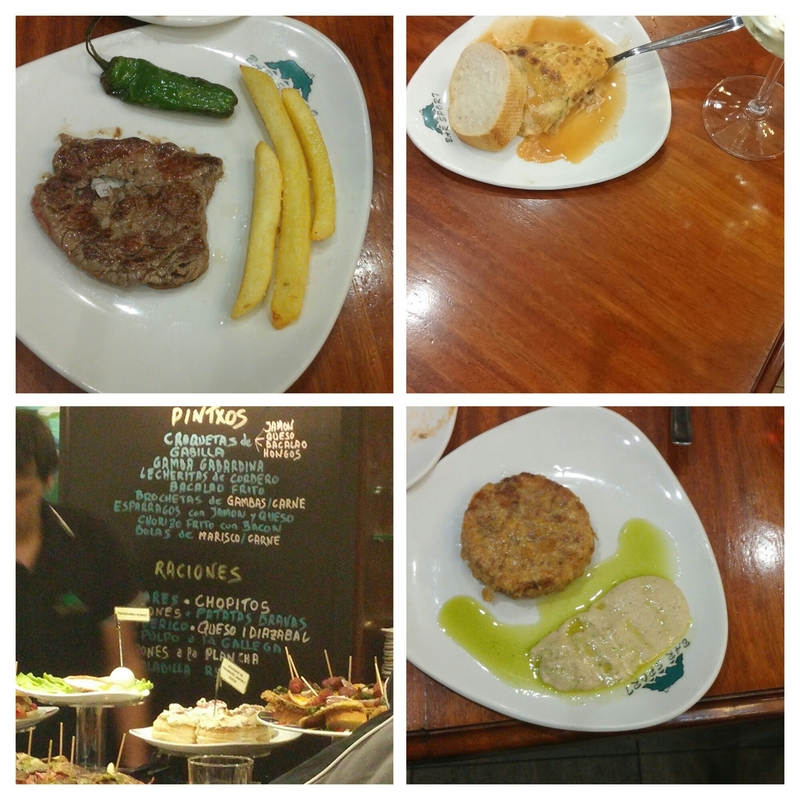 We travelled to Donostia San Sebastian via a flight from Stansted Airport into Biarritz (a nice place for a spot of lunch on the way back before flight to UK is La Grappe a Fromages) and then got the bus (about an hour) from Biarritz Airport to Donostia. We stayed at the Art 7 Apartments in Centro (about 15 – 20 mins from the Old Town and just across the road from where the bus drops you off). Plenty of buses and taxis near by if you don’t want to walk to the bars (Donostia San Sebastian is a very walkable city). Easyjet also have flights from the more convenient (for us in South Wales at least) Bristol Airport to Bilbao where you can get a bus or train to Donostia San Sebastian (flight times are not the best though). 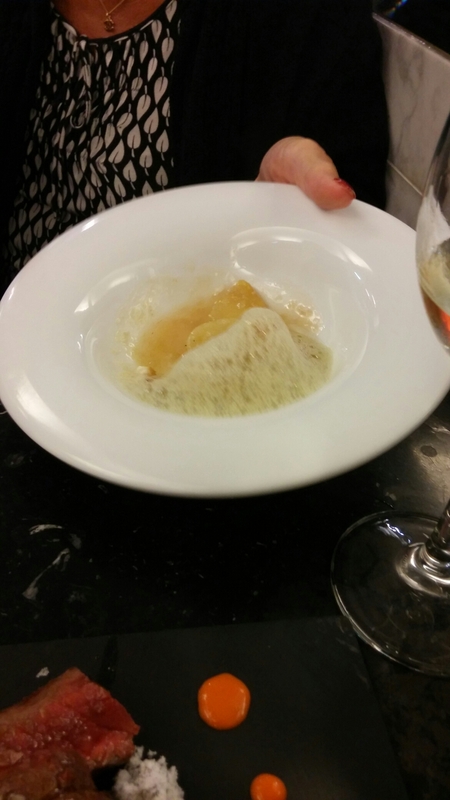 This entry was posted on Nov 15, 2015 by solicitingflavours in albarino, Alcoholic drink, Alternatives to sauvignon blanc, Atari, Bar Sport, Bar Zazpi, Basque Country, BBQ, Beer, Bierzo, Burger, cider, City break, craft beer, Donostia, Drink, Dry white wine, Fine dining, fish, Food, Food and wine products, France, Galcian white wine, Godello, Iturrioz, lobster, lunch, lunchtime, Mencia, Non alcoholic drink, outside UK, Outside Wales, Paco Bueno, pintxos, Red Wine, Restaurant Review, Rioja, San Sebastian, Spain, Spanish wine, steak, Tapas, Tapas bar, Tempranillo, Toro, Travel, txakoli.